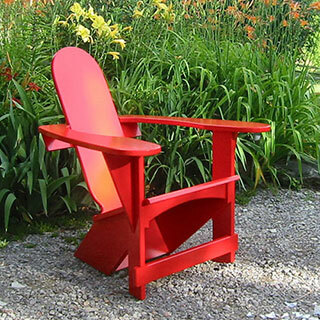 We make The Classic Westport Chair, Mid-century Modern Adirondack Chair, Beautiful Breadloaf Chair, Roundback Lodge Chair, and Rietveld-inspired Garden Chair. 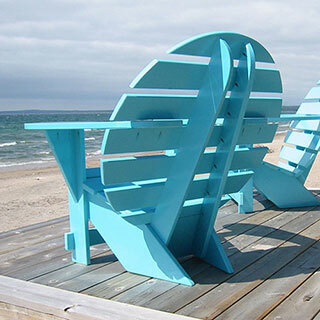 Jardinique creates classic furniture and outdoor accessories to enhance any outside living space – patio, balcony, porch, dock or deck. We, owners Ian and Sandy Mackie, share a love of good design and quality craftsmanship. Yes, we use machines to fabricate our chairs but, working together, only our hands touch each piece to ensure our exacting standards are always met. 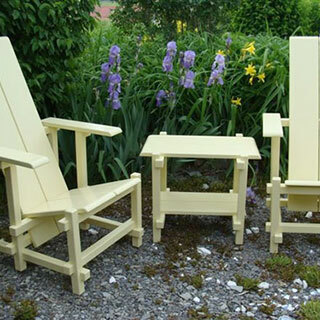 Jardinique builds Canadian climate-tested, classically inspired outdoor furniture for year round backyard beauty. 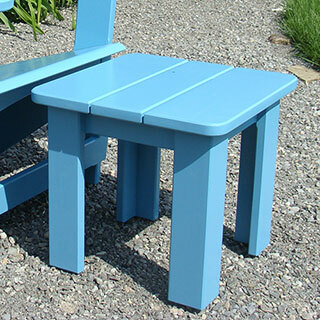 Our furniture fits in gorgeously in city gardens to add a punch of colour or a quiet spot to read and relax. 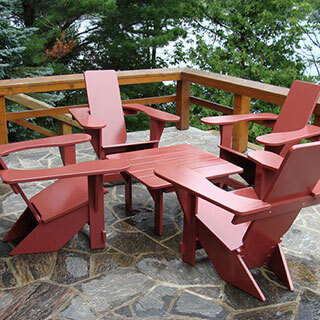 Whether the Muskokas or the Adirondacks our chairs and tables are perfect for cottages, camps and cabins. Our customers tell us so! 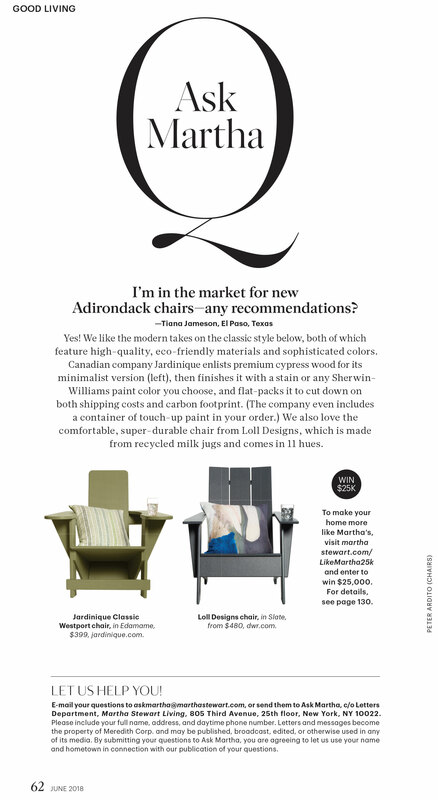 We are the first builders of Westport Chairs to be able to ship them anywhere while maintaining the brilliant design of the iconic original Lee chair. 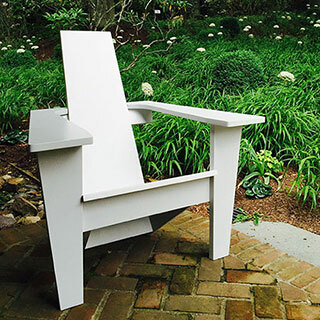 Our Rietveld-inspired Garden Chairs and the Lodge Chairs are all shippable as well. Chairs are shipped flat and ready to assemble with nothing more than a screwdriver and an hour or two to spare. 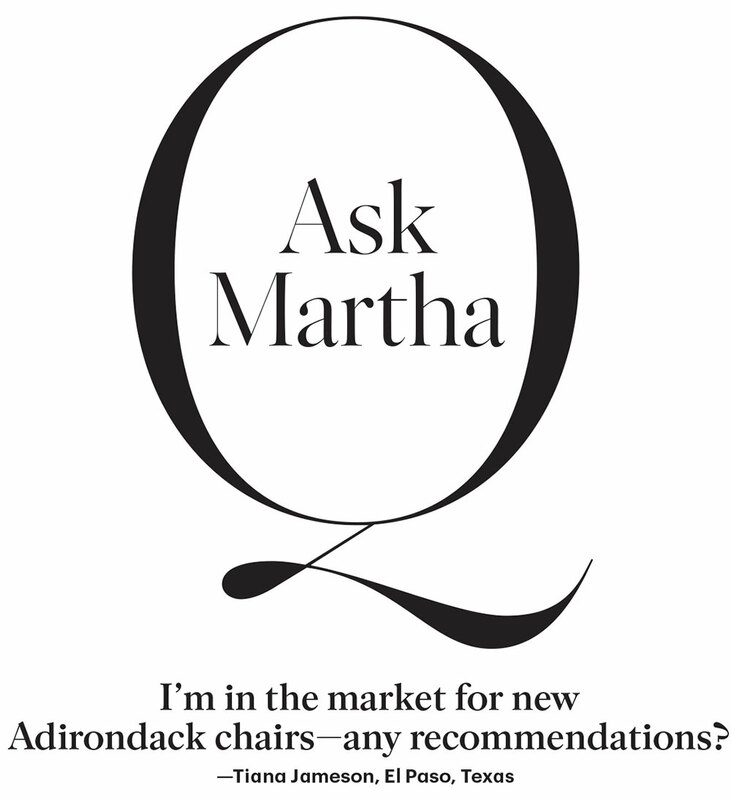 First time customers report that assembling the chairs is indeed easy.